For whom (target group) : Abnormal Psychology is a complex, controversial and a very fascinating field of study in applied psychology. The modern psychological community has made tremendous strides in better understanding, diagnosing and treating abnormal disorders of the mind compared to centuries and even decades ago. While there is still much stigma attached to this branch of mental illness, it is less so than in the past. 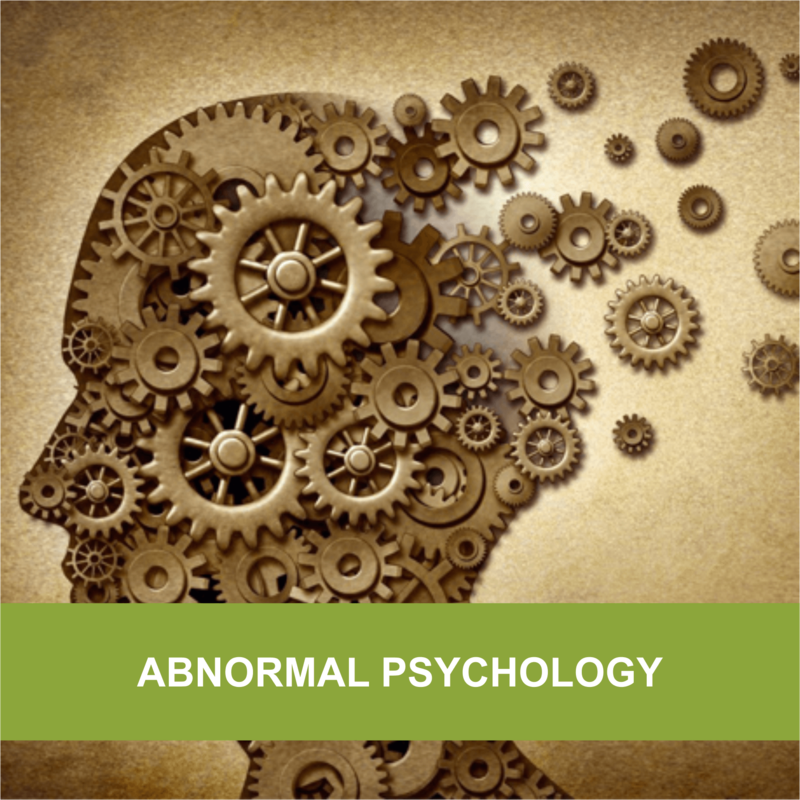 This course will introduce you to the many faces of abnormal psychology. It will discuss old and new ideas surrounding this branch of psychology and will offer general information about how abnormal and clinical psychologists and psychiatrists identify and treat these types of mental illnesses. Whether you are considering an education or a career in abnormal psychology or if you are simply interested in learning more about this fascinating field of study, this course will introduce you to a better understanding of the intricacies of the human mind and the ever evolving study of Abnormal Psychology and Psychopathology. Entry Requirements : University Graduates or Members of recognized Professional bodies, or School Teachers or Assistant Teachers, or Professional / Academic Diploma or Advanced / Higher (National) Diploma holders or Holders of a Certificate / Diploma in Education, Psychology or Counselling, and Age not less than 19 years, and Fluency of the English language is essential. The award of the IMH Certificate in Abnormal Psychology (CAP) will be contingent upon passing a 2.5 hour internally set unseen Essay type final Examination paper to be answered on a closed book examination mode under supervision at the IMH premises. Individual Class: On a mutually agreeable timetable schedule – date and time (to be decided jointly by the participant and the resource person).